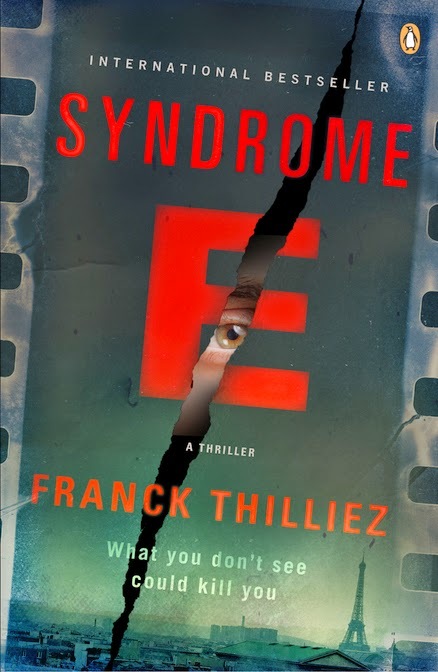 From the very first time I read the description for SYNDROME E by Franck Thilliez, I was intrigued! I had no idea how corpses at a construction site could be linked to an old film, but I sure wanted to find out. 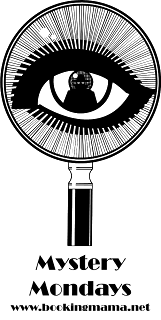 SYNDROME E features Lucie Henebelle, a single mom of two girls and a detective, and Franck Sharko, an inspector who has some pretty serious "issues." Lucie is trying to juggle her responsibilities as a mom and a detective when an ex-boyfriend calls her with a very strange problem. He lost his eyesight while watching a film from the 1950s. In the meantime, Franck is working on a case of five corpses were found at a construction site. Most of the corpses are badly decomposed, but they all are missing the top halves of their heads. 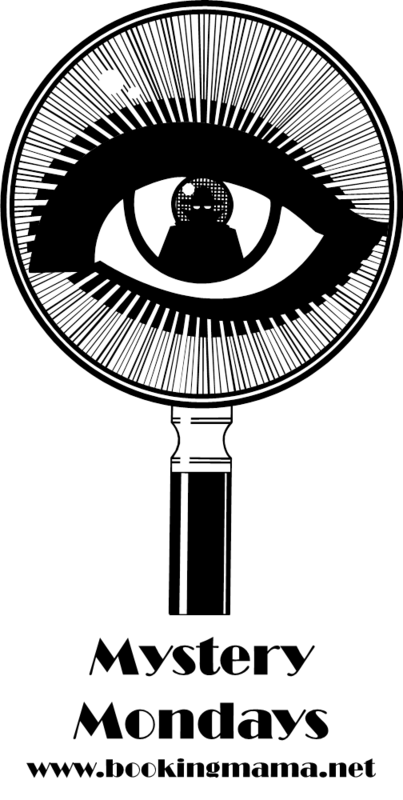 Franck's investigation takes him from France to Egypt to Canada, and he and Lucie discover that this obscure film is somehow related to these deaths. In a thrilling chase, Lucie and Franck find themselves at risk as they attempt to understand the meaning of this film as well as the person who is responsible for these crimes. SYNDROME E really is a page turner! There are so many things about this novel that impressed me that I'm having a difficult time trying to arrange my thoughts. Suffice it to say that the premise is extremely original and the author does a fantastic job of executing it. I can hardly even comprehend how Thilliez came up with this storyline, and I ended up loving how the entire book came together. First of all, the mystery in SYNDROME E was outstanding. This book was twisted in more than one way! I had no idea what direction this novel was going to take, and I loved being along for a thrilling ride with lots of surprises. However, I also thought this book was a little twisted because of the entire theory behind the film and the murders. I can't go into too much or I'd spoil it, but this book is utterly unique and maybe even a bit insane! I also found Thilliez's writing to be very good. The book was translated from French and I think the translator did a great job too. I liked his descriptions of the characters and how he incorporated some humor into a pretty serious story. However, it was his action and suspense scenes that really made this book stand out. He did a marvelous job of building tension and and suspense, and I could visualize almost every scene. In addition to the storyline and the writing, the characters in SYNDROME E were fascinating. Lucie is a single mom torn between being a good mother and a cop. I loved the complexity of her character and how determined she was to figure out the many mysteries in this case. It was almost like she couldn't help herself! And then there was Franck! Oh how I adored this character. When the novel begins, the reader quickly sees that he has some emotional baggage which is wreaking havoc on his sanity. Again, I'm afraid to give too much away about Franck's character, but I will say that I loved so much about him and I found him fascinating! And while these two characters were both damaged in their own way, I thought they made a great team -- both professionally and personally. I liked the chemistry between them although I admit I'm not quite sure what to think about the ending of the novel. One thing's for sure... I was left wanting more after I finished this book. As a result, I was so excited to learn that SYNDROME E is the first book is a series! Since I loved the complexities of the characters, as well as the author's ability to weave a story, I can't wait to see what's in store for Lucie and Franck as they take on another case. The description for the next novel is included in the back of this one, and once again, I'm intrigued! I thoroughly enjoyed SYNDROME E and I highly recommend it for fans of thrillers! Make sure you check out my giveaway for a copy of SYNDROME E.
It sounds like this book has a lot going on. I can tell it grabbed you, so I'm adding it to my wishlist. This is years after your post, but I have to say the book was far too scary for my tastes. The description of the film was terrifying and the characters felt like they were developing too slowly. Not to mention that sometimes you had to play the pronoun game and the mental illness was an unnecessary addition that could have been great but just fell flat and felt irritating.